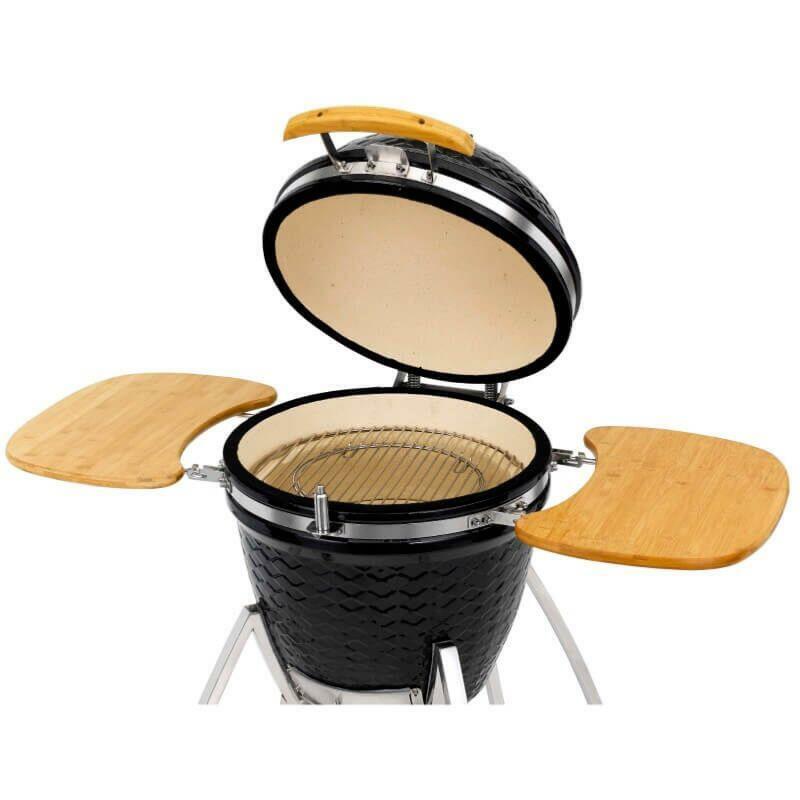 With a ceramic body shell that is very efficient and stores heat for a time so makes long and slow roasting and smoking easy. Enjoy the most tender brisket and pulled pork. 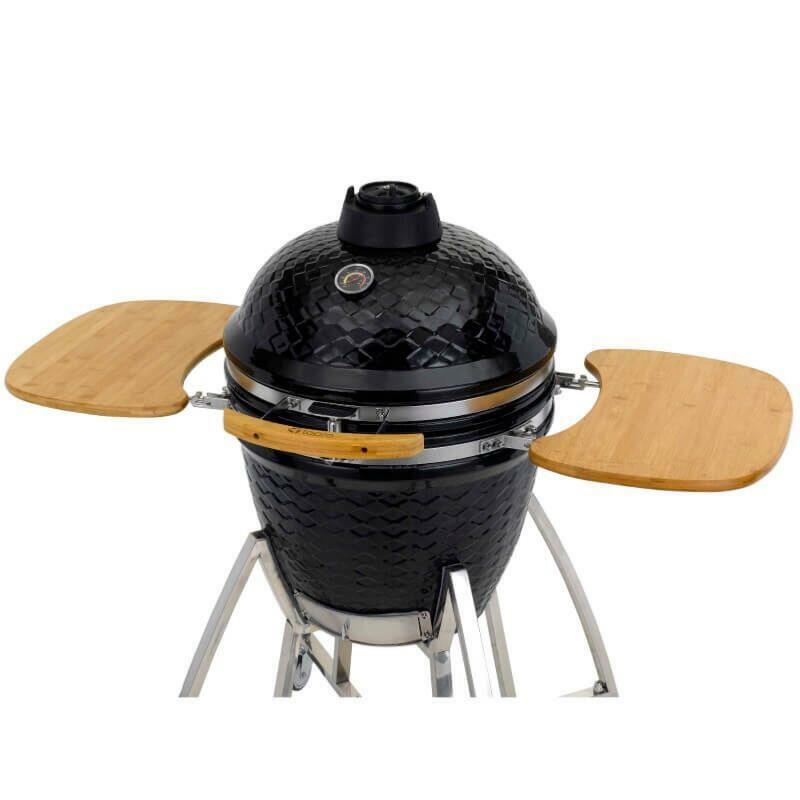 Integrated thermometer on the lid so you can control your BBQ and enabling you to cook and smoke succulent roasts. 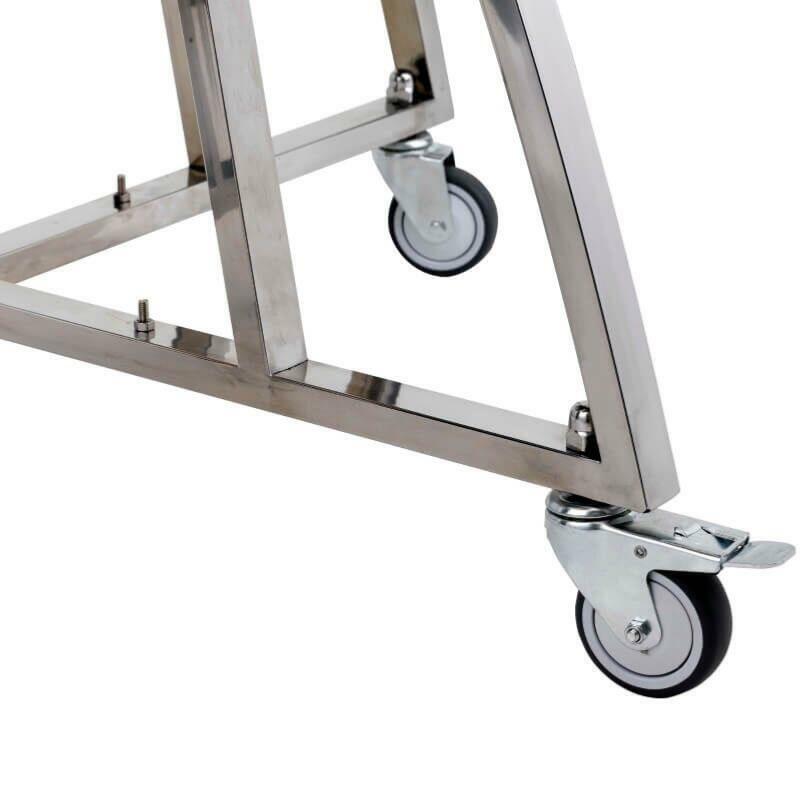 Four casters on the stainless steel trolley make it easy to move the grill where you want in the garden. 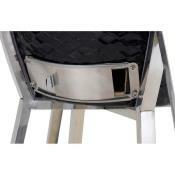 The two handy hinged side tables offer plenty of space for food and barbecue utensils. 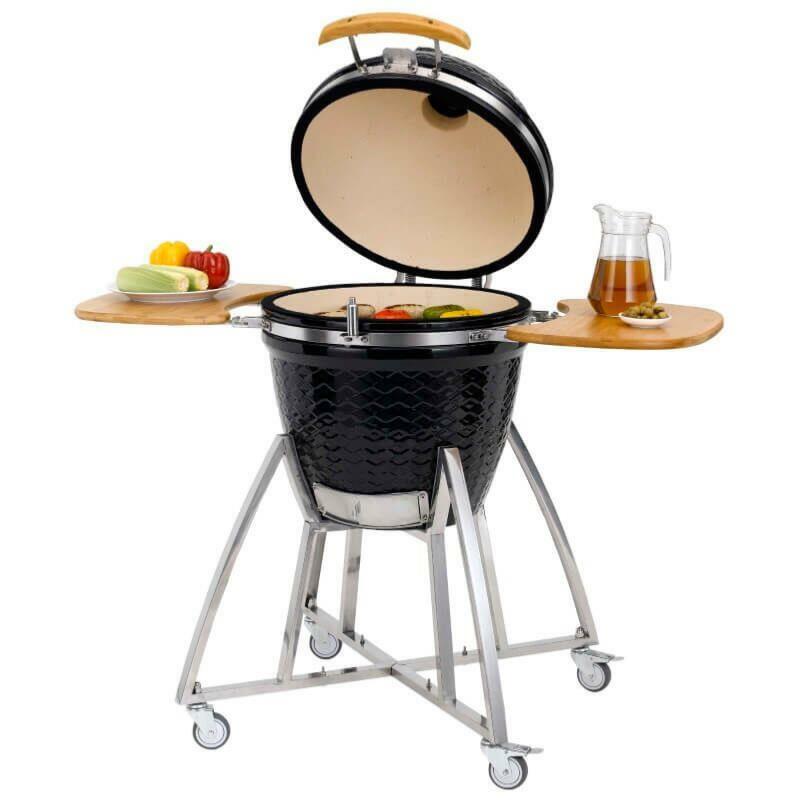 Intelligent grid-in-grid system, this Grenada Grill offers a range of cooking methods making it extremely easy to use. Cooks and roasts like a convection oven, so the food is cooked evenly for better results. 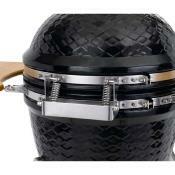 cooking process and prevent the coal from extinguishing so ideal for slow roasting. This superb quality ceramic BBQ Grill is well designed with a stainless steel frame. 47cm stainless steel cooking grill approx. Ceramic body with fitted thermometer. 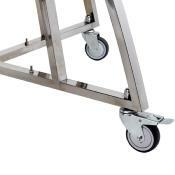 Four swivel casters and 2 with lock brakes. Height adjustable cast iron charcoal grid for heat control. 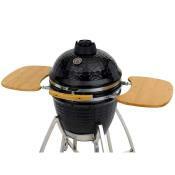 Air vents on top of lid and on fire bowl for temperature control. 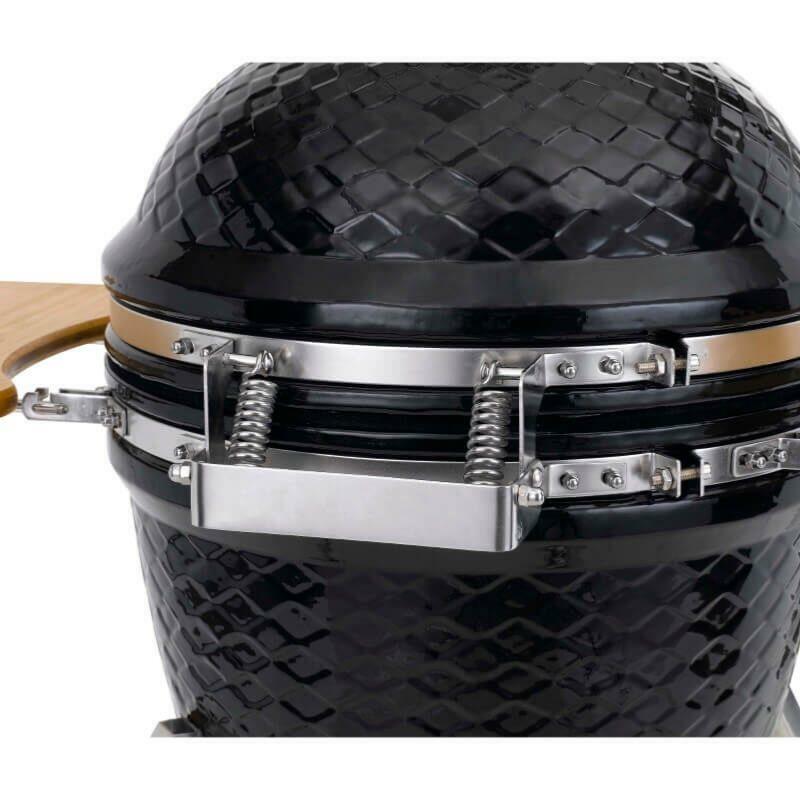 Maximum charcoal capacity of 3Kg.